Conference registrations cancelled on or before 12:00 noon Mountain Time on February 21, 2019 will be entitled to a full refund less a $25 handling & processing charge. Registrations cancelled after this deadline will not be entitled to a refund. 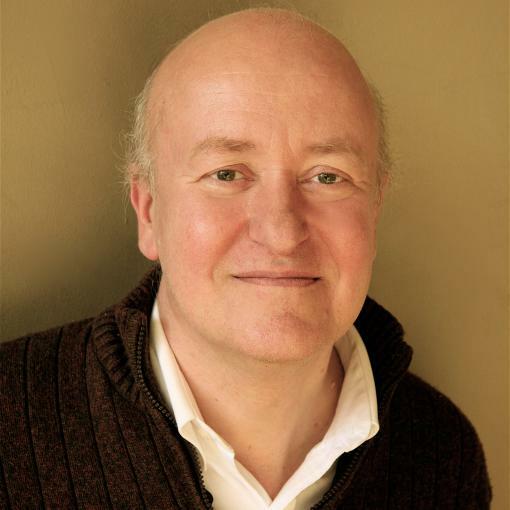 Tim Page is a professor in both the Annenberg School of Journalism and the Thornton School of Music at the University of Southern California. Page won the Pulitzer Prize for criticism in 1997 for his writings about music in The Washington Post, where he was the chief music critic from 1995–1999 and 2001–2007. Before that, he served as the chief music critic for Newsday and as a music and cultural writer for The New York Times. During his years in New York, he was the host of an afternoon program on WNYC-FM that broadcast interviews with hundreds of composers and musicians, including Aaron Copland, Elliott Carter, Dizzy Gillespie, Philip Glass, Meredith Monk and Steve Reich. Many of these are now available on-line. An interview with Glenn Gould, comparing the pianist’s two versions of Bach’s Goldberg Variations, was released as part of a three-CD set entitled A State of Wonder in 2002 that became a surprise best-seller. Page was a finalist for a Grammy Award for his liner notes for the recording. Page became interested in the life and work of American author Dawn Powell in 1991 and set to work interviewing her surviving friends and family. With the help of Powell's cousin John F. Sherman, he launched a challenge to the author's executrix, which led directly to the discovery of Powell's papers and the subsequent reissue of most of her books. To date, Page has edited Powell's diaries, letters, plays and short-stories, as well as written introductions to a half dozen of her novels. His biography Dawn Powell was published in 1998. In 1993, Page conceived and then served as the first executive producer for BMG Catalyst, a short-lived record label devoted to new and unusual music. Projects included “Spiked,” an album of music by Spike Jones with liner notes by Thomas Pynchon; “Memento Bittersweet,” an album of music by Chris DeBlasio, Kevin Oldham, Lee Gannon and other HIV-positive composers; “Night of the Mayas,” the first CD devoted entirely to orchestral works by Silvestre Revueltas, Mexico’s leading composer; two solo recital discs by violinist Maria Bachmann and several others. Page has also produced concerts at venues ranging from Carnegie Hall to New York’s once-infamous Mudd Club. From 1999 to 2001, he was the artistic advisor and creative chair for the St. Louis Symphony Orchestra. His books include The Glenn Gould Reader (Alfred A. Knopf, 1984), Selected Letters of Virgil Thomson (Summit, 1988), William Kapell: A Documentary Life History of the American Pianist (IPAM, 1992), Music From The Road: Views and Reviews 1978–1992, an anthology of previously published work (Oxford University Press, 1992), The Unknown Sigrid Undset (Steerforth, 2001), and Tim Page on Music (Amadeus Press, 2002). He is the author of the official history of Carnegie Hall (Carnegie Hall Treasures, 2011) and a memoir of his childhood, Parallel Play (2009). Page received an Honorary Doctorate in Fine Arts from the University of Connecticut in 2005, has been a juror for the Pulitzer Prize on five occasions. He has edited four volumes for the Library of America – the novels of Dawn Powell (2001) and the writings about music of Virgil Thomson (2014, 2016). He delivered the Blashfield Address at the American Academy of Arts and Letters in 2001, the Louis C. Elson Memorial Lecture at the Library of Congress in 2006 and the John Cage Centennial Address at the University of Colorado in 2012. He is a regular contributor to the New York Review of Books. The Winter Visual and Performing Arts Center (WVPAC) is located on Millersville University's main campus in the heart of Millersville, Pennsylvania. WVPAC Address: 60 West Cottage Ave., Millersville PA, 17551. Driving directions: Upon entry to Millersville Borough on Rte. 999, turn south onto George Street. In approximately 1 mile, turn right onto W. Cottage Avenue. The closest campus entrance to the WVPAC is "Lyte Road". Parking lots are located on your immediate left. No parking permit nor fee is required for weekend parking. Download a campus map and map of the Winter Center.